The timing could NOT be better for SONY to release the spy movie SALT. With the news swirling around Russian spy swaps, the press junket commenced in DC over the July 10th weekend. Making Up America enjoyed being there to do grooming for British actor Chiwetel Ejiofor (2012 and more movies in production). He was pleasant, polite and quiet. Mr. Ejiofor’s mental focus was for his marathon 4 hours of constant 3 minute interviews with the press (he only took two quick breaks the entire time). The sheer determination and uncomplicated dedication he showed was unlike any other actor. Most fascinating was to watch the behavior of the interviewers with the interviewees as they exchanged questions and answers. There was no sound from the monitors, so all one could do was observe their body language. Angelina Jolie was said to be a “girly girl” and was noticeably more animated with the female press. One such interviewer said “Angelina liked questions about her children”. The two obviously hit it off because she got a handshake and a photo from Jolie. To the chagrin of fans, Angelina was well hidden from gawkers the entire weekend. Separate interview floors at the Newseum and back entrances and passageways at the Ritz Carlton kept the event running smoothly. SALT premieres July 23, 2010. 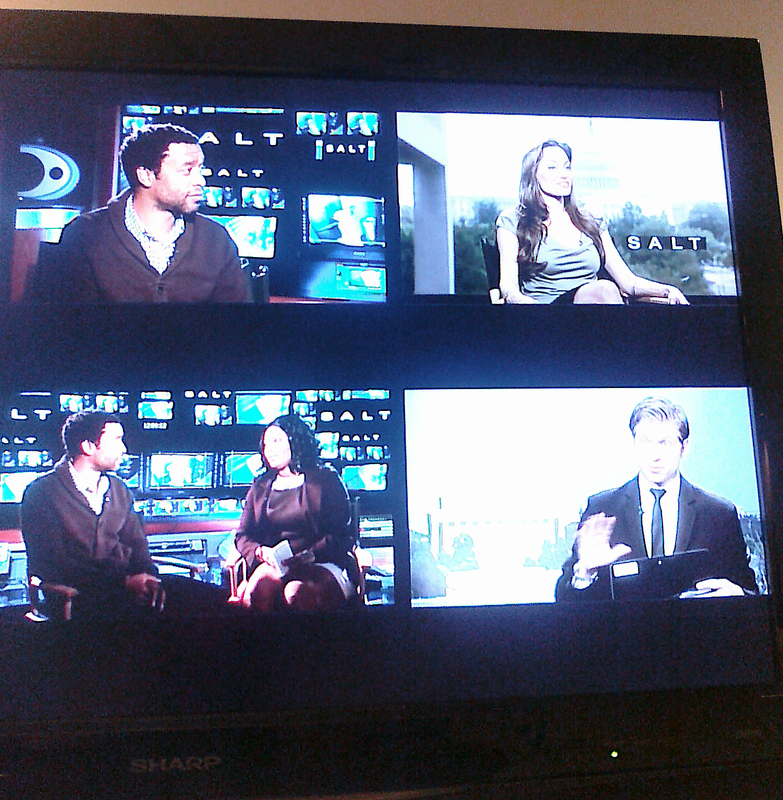 To view a video of the interviews from STARZ go to the following link.